Open IE F12 developer tools. Select Script tab and then select the Start debugging button. Add some of the .js files to your solution. 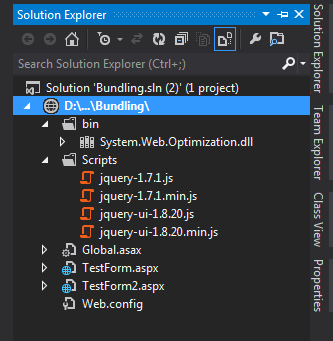 Now you have to give reference of your bundle(created in first part) to your aspx page to access all those .js file functions. 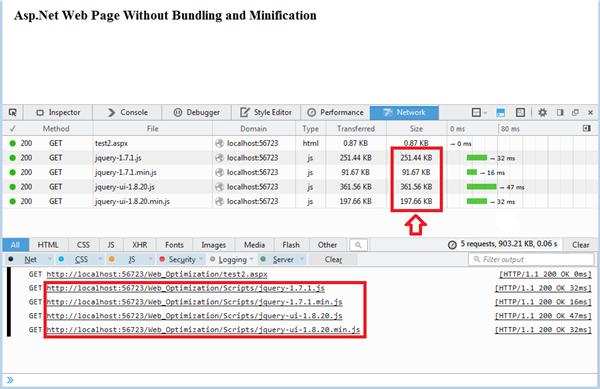 Here you can easily see the difference between the sizes of .js files/resources on both the web pages. 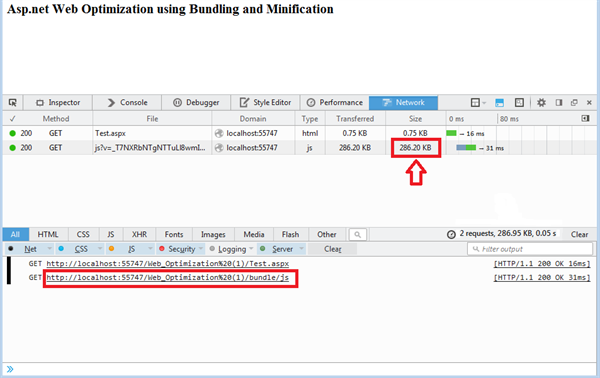 Only 286.20 KB size for all the .js files inside a bundle/js. Toal 902.34 KB size for all the seperate 4 .js files. Hope I had explained all the details regarding minification in a proper way. Please try it for improving your website performance and you will see the difference. Please post if any suggestions or feedback.